Week 13 was a catch up week for those who had gotten behind. 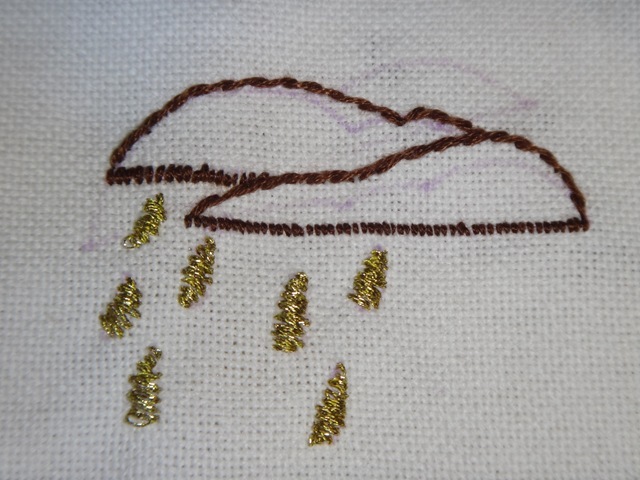 Take A Stitch Tuesday stitch was the Satin stitch. I didn’t do very well with this stitch. I used metallic thread and it gave me a hard time. I also had lots going on as we prepare to leave the RV park in Yuma, AZ where we spend the winter. On the first quarter of my block for the Crazy Quilt Journal Project I used the Satin stitch, the fly stitch and running stitch . 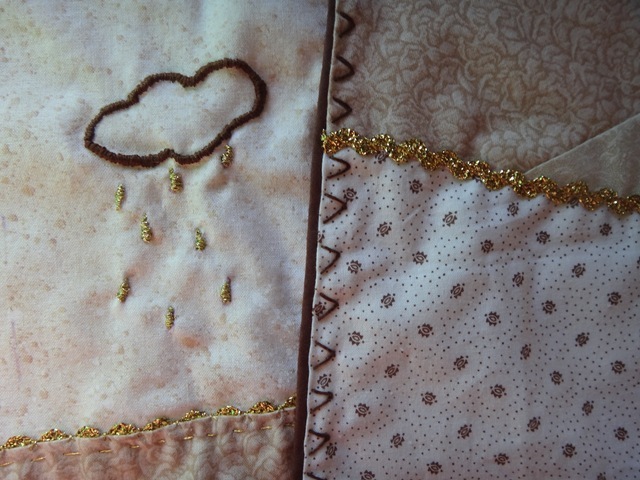 I also used some gold rickrack to match the gold rain drops. I like my color choices.